The issue of how safe sunbeds are is the subject of much debate within the medical profession and the tanning industry. Rather than provide just one side of the argument we have attempted to provide information on both sides in order that our customers can reach their own informed judgement before deciding whether to hire a sunbed. The argument against the use of sunbeds can be summarised as; exposure to Ultra-violet light is the primary cause of skin cancer and therefore any unnecessary exposure is increasing this risk and should therefore be avoided. The argument in favour of using sunbeds can be summarised as; the primary cause of skin cancer is getting badly sun-burnt as a child and in adolescence, not moderate exposure to ultra-violet light as an adult in a controlled environment (on a sunbed). By using a sunbed people not only help to reduce their risk of getting burnt by preparing their skin for exposure to the sun, they also benefit from some additional health benefits caused naturally by exposure to ultra-violet light. 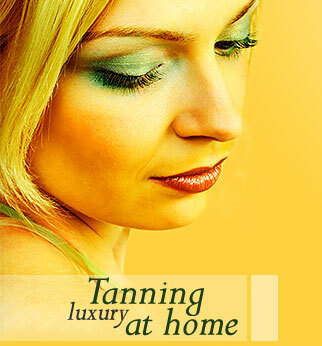 To help you develop a safe tan it is recommended that you should consider your skin type. ( approx. 2% of all Central Europeans): remarkably light skin, reddish hair, blue eyes, very strong tendency to develop a sunburn. ( approx. 12% of all Central Europeans): light skin, blond to medium-brown hair, blue to grey or green eyes, strong tendency to develop sunburn. ( approx. 78% of all Central Europeans): normal skin, dark-blond to brown hair, grey to brown eyes, moderate tendency to develop a sunburn. ( approx. 8% of all Central Europeans): light-brown to olive coloured skin, dark hair and eyes, slight tendency to develop a sunburn.